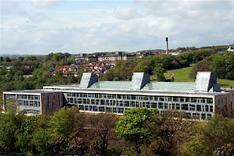 West Lothian Council gives a high priority to the task of helping new, migrant and expanding businesses find premises suited to their needs and sees the provision of buildings and serviced land as a means of fostering business growth. Its dedicated Business Property Team, together with a one-stop public and private property information facility and a forward thinking Planning Authority, combine to ensure that you get the property you need to meet your particular business requirements. The Council is also a major landlord, with a portfolio of over 500 commercial properties throughout the county. Our business starter and small industrial units range from 10 sq.m (107 sq.ft) and are available on easy-in, easy-out terms; we have over 100 shops distributed throughout West Lothian's major towns centres and neighbourhoods; and office space including some close to Livingston town centre. The portfolio is managed by the council's Property Management and Development team, from whom more information is available. You can find out what is available in West Lothian by using the NovaLoca Property Search. A wide range of modern business locations, traditional and modern industrial estates, and a mix of premises cater for all needs in West Lothian - from Livingston's premier business parks at the Alba and Kirkton Campuses to small purpose-built units on month to month leases, ideal for newly formed businesses in locations throughout the county. Serviced office accomodation is also available. Livingston is a focus for office accommodation. The Almondvale Business Park, close to the Town Centre, and the Alba Campus, just to the west, boast quality office development. Alba is also home to the Alba Innovation Centre. Locations such as Quarrywood Court and Fairways Business Park in Livingston provide smaller business occupiers with good quality space. The Alba, Kirkton and Eliburn Campuses are the principal focus for technology based businesses. More traditional estates, often associated with West Lothian's larger settlements, have provided a strong employment base for the last three decades. Development continues as part of the Heartlands redevelopment at Whitburn, where a substantial new allocation with direct motorway access is now available for development. J4M8 to the west of Bathgate is a major location for Logistics and Distribution and the Lothian Gateway rehabilitation scheme will extend both J4M8 and Whitehill Industrial Estate.